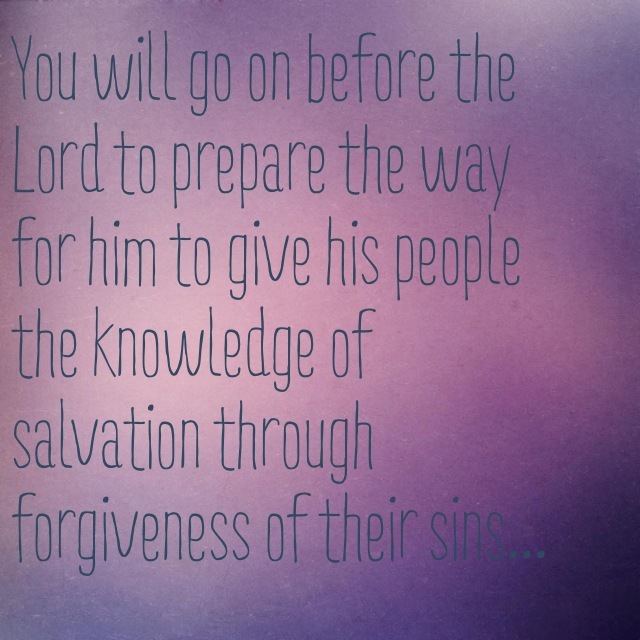 Why do you think it was necessary for John to prepare the way for the Lord by giving people knowledge of salvation through forgiveness of sins? When did you first hear about salvation through the forgiveness of sins? What was your initial response? Are there areas in your life in which you have resisted the light that Jesus brings? Why do you think John lived in the wilderness before appearing to share the message of salvation? Father, thank you for saving me, for forgiving me, for shining your light on me! Help me to share the message of your salvation through forgiveness with my family and friends. Help me to reflect your love by infusing me with your tender mercy. In times of sadness or temptation, Lord, I long for your light. I pray that you would invade every area of my heart, every grudge, resentment, and hurt. Shine your light in my darkness and transform my heart so that it reflects your love and peace.